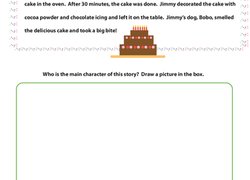 Track the dots! 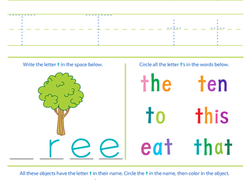 Help your students learn one-to-one correspondence and how to recognize words as they read along with you in this interactive worksheet. 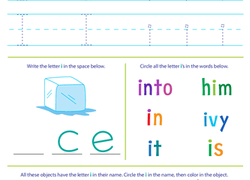 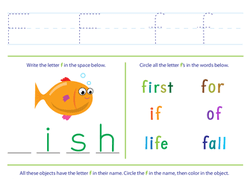 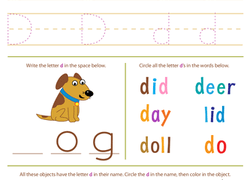 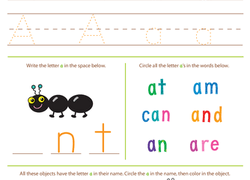 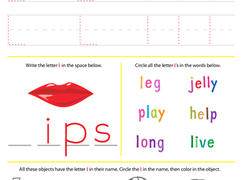 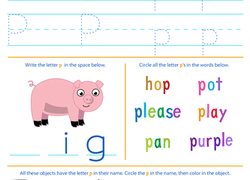 Let your preschooler topple into T's with this adorable, early reading worksheet. 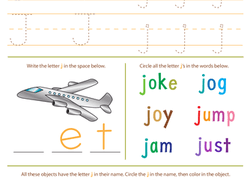 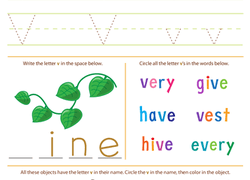 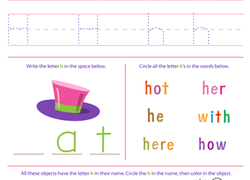 He'll practice writing and identifying things that contain the letter T.
Here's a fun way to give your preschooler some early reading assistance with the letter U. 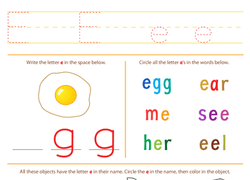 He'll practice tracing and identifying all things "U"!